The highlights in the sky this June are an opposition of Saturn on the 3 June and Mercury visible in the morning sky. As most of you know, June is the month when we have the longest day of the year, the Summer Solstice. This is when the Sun reaches as far north in the sky that it can go, and on this day it is overhead as seen from the tropic of Cancer. This year the solstice falls on the 20 June, and in Wales the days are quite long. On 20 June the Sun rises in Cardiff at about 4:55am and sets at about 9:30pm. This means that there is about sixteen and a half hours between sunrise and sunset. Compare this to the shortest day (the winter solstice), when there is only about eight hours between sunrise and sunset; the days are more than twice as long in late June compared to late December! Although this means that the nights are at their shortest, June is still a good month to look at the night-time sky as there are several interesting things to see. In June the new Moon is on the 5th of the month, and the full Moon on the 20th. So, seeing the night-time sky in the days around the full Moon can be challenging, particularly trying to see any faint objects. On Saturday 11 June there is a conjunction between the Moon and Jupiter. A conjunction is when two bodies appear close together in the sky, and on this night they will be separated by 1.25 degrees from each other. For comparison, a full moon is 0.5 degrees across. They will become visible in south Wales by about 10pm when it is dark enough, over towards the west as they head towards setting at just after 1:30am. On 5 June Mercury will appear as far to the west of the Sun as it can get. Some of you may have been aware that on 9 May Mercury passed across the disk of the Sun, known as a transit. Less than a month after that, Mercury has moved in the sky as it orbits the Sun so that it is now visible before sunrise. On 5 June it will rise at 4:13am in Cardiff, with the Sun rising at 4:57, giving you just over half an hour to catch a glimpse of this elusive planet. On 19 June Mercury will rise at 3:58 in Cardiff, and the Sun at 4:54, giving you nearly an hour to see it. Although Mercury is fairly bright in June, it is still very tough to see it as it will be low near the eastern horizon and the dawn light will quickly make the sky too light to see it. But, it is worth a go! Mercury is visible before dawn in June. It reaches greatest western elongation on 5 June. By 19 June it will rise just under an hour before the Sun, so it is possible to catch a glimpse of it before the pre-dawn light gets too strong. On 3 June Saturn will be at opposition, this means we will be passing it as we and it orbit the Sun. On 22 May Mars was at opposition, and has become considerably brighter in the sky over the last several weeks. This does not happen with Saturn, it is so much further away than Mars that it doesn’t really get any brighter as we pass it. But, it is certainly easily visible, and you can use Mars to find it. If you imagine a clock face, Saturn is about about 8 o’clock from Mars on 3 June. Saturn will be visible over the next few months. If you get the chance to look through a small telescope you will easily be able to see Saturn’s rings; this is one of the highlights of the Solar System so if you get the chance it is well worth it. When you look at Saturn through a small telescope you should see something like this. You may also spot a dot of light near Saturn, this is probably its largest moon Titan, the only moon we know of in the Solar System with a substantial atmosphere. The rings are tiny particles of icy rock, tens of thousands of them in orbit about the planet. The origin of the rings remains a topic of scientific debate, but what you may not know is that Jupiter, Uranus and Neptune also have ring systems, although they are much fainter than Saturn’s. Saturn as it might appear through a small telescope. The rings are easily visible through even a very modest telescope. Saturn as imaged by the Voyager 2 space probe which flew past it in January 1981. One of the best deep sky objects (objects outside of our Solar System) to look for in June is Messier 13, one of the best globular clusters in the sky. A globular cluster is a huge collection of hundreds of thousands of stars which orbit the centre of our Milky Way galaxy. One of the most intriguing things about globular clusters is that they only contain old stars, and we believe that they were amongst the first structures to form when our Galaxy formed. Messier 13 is in the constellation Hercules, and can be found by using the bright star Vega. If you imagine a clock face, Messier 13 (shown as “Hercules Cluster” in this image) is at about 2 o’clock from Vega. The constellation Hercules is also relatively easy to see, it has six bright stars which actually form a letter “H”, very appropriate that it should be called Hercules! Where to find Messier 13 (the Hercules Cluster), a visually stunning globular cluster in the constellation Hercules. Hercules is an easy to find constellation, it has 6 relatively bright stars, and lies at about 2 o’clock from Vega. The 6 stars actually make the shape of a letter ‘H’. Tomorrow (Sunday 29 May), Wales take on England at Twickenham in a warm-up match before the two countries’ tours of New Zealand and Australia respectively. Quite what the value of this match will be remains to be seen. Many of the England first choice team are not available as Saracens are involved in the play-off to determine the winner of the English Premier League, and Wales are missing their talismanic captain Sam Warburton through injury. Sam Warburton is injured for Wales’ warm-up match against England at Twickenham tomorrow (Sunday 29 May). It is true that Wales seem to start every series of matches very poorly, be it the 6 Nations or a tour series, or the Autumn tests series. So, knowing this, Warren Gatland felt his team should play a warm-up match before embarking on their daunting 3-test tour of New Zealand. As none of the Welsh regions qualified for the Pro-12 playoffs, some of the Welsh players have not played any competitive rugby in the best part of a month; certainly not ideal preparation for touring New Zealand. It is strange to think of winning a Wales v England match as not being the main concern of Welsh rugby fans; but it is true that for this game we just want to see the Welsh team avoid any injuries and blow off a few cobwebs before we head to take on the All Blacks. If we manage to sneak a win we won’t be complaining, but for once that is not the main goal. One of the reasons I enjoy watching Britain’s Got Talent is for moments like this one. 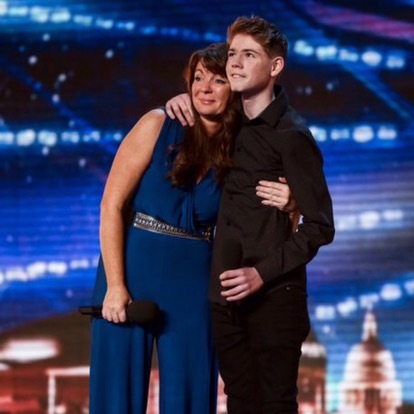 Last Saturday’s show had 15-year old Jamie Gilpin and his mother Mel perform an amazing version of “Say Something” which brought them a standing ovation. Not surprisingly, Jamie has been bullied at school. Sadly this seems to be par for the course for anyone who is a little ‘different’, and singing as a teenage boy is considered by some Neanderthals as reason to bully someone. I just really hope that he makes it big, then the bullies will be less dismissive of his obvious talent. Here is the original version by A Great Big World with Christina Aguilera. Aguilera has one of the best voices in music, truly extraordinary. Which is your favourite Christina Aguilera vocal performance? At number 21 in Rolling Stone Magazine’s list of the 100 greatest Beatles songs is “All You Need is Love”. This song was released as a single in July 1967, with “Baby You’re a Rich Man” on the B-side (which is much less well known but also a great song). “All You Need is Love” was written by John Lennon after the Beatles were chosen to take part in the first global live-TV show, Our World. Lennon said that he wanted to write a song with a message which would be understood by everyone. At number 21 in Rolling Stone Magazine’s list of the 100 greatest Beatles songs is “All You Need is Love”. Although the lyrics are quite simple, they are deceptively profound. Lines such as “Nothing you can see that isn’t shown” and “Nowhere you can be that isn’t where you’re meant to be” are quite philosophical. Not surprisingly, the song was a world-wide hit, reaching number 1 in many countries including the Disunited Kingdom, the USA, Austria, Australia, Canada, the Netherlands and Norway. When the lyrics switch from “All you need is love” to “She loves you (yeah yeah yeah)” towards the end of the song, it of course immediately takes you back to their 1963 song, and one cannot help but think of how much the band has changed and evolved in those four years. Here is a brief clip of the song. It looks like the full version has been removed from YouTube, but the full song can be listened to via your favourite streaming service. Enjoy! On May 10, NASA announced that the Kepler mission had discovered and confirmed 1,284 new extra-solar planets (exoplanets). This is the largest trawl of exoplanets ever announced at one time, and takes the total of known exoplanets to over 3,000. It is sometimes hard to remember that the first exoplanets were only being discovered in the mid-1990s; we have come a long way since then. Kepler discovers planets using the ‘transit technique’. This involves staring at a particular patch of the sky and looking for a dimming of particular stars. If the dimming of a particular star happens on a regular basis, it is almost certainly due to our seeing that star’s planetary system edge-one. It is a safe bet that repeated and regular dimming is caused by a planet passing across the disk of the star. This is similar to the effect Mercury would have had on the Sun during the recent Transit of Mercury (see my blogpost here about that event). Kepler was launched in March 2009 and put into an Earth-trailing orbit. In July 2012 one of the four reaction wheels used for pointing the telescope stopped working. In May 2013 a second one failed, and in August 2013 NASA announced that they had given up trying to fix the two failed reaction wheels and Kepler ceased operation. It used the reaction wheels to keep it pointing at the same patch of the sky, a nearly square patch which covered parts of the constellations Cygnus, Lyra and Draco. This field is shown in the diagram below. The patch of sky observed by Kepler, covering parts of the constellations Draco, Cygnus and Lyra. The field of view covered 115 square degrees; the Full Moon would fit into this area over 400 times. Within this area there are over half a million stars, with about 150,000 being selected for observation. Although the first exoplanets were discovered using the parallax technique (see my blog here for details of that method), Kepler has led to a huge increase in the number of known exoplanets. In fact, since its launch in 2009, Kepler has slowly become the dominant instrument for detecting new exoplanets. It took a few years for it to do this, as so much data were acquired during its mission that it has taken several years for the results to start coming out. The growth in the number of exoplanets discovered between 1995 and 2016. Since Kepler’s launch in 2009 the numbers have boomed, with Kepler being responsible for the majority of new discoveries since 2013. Incredibly, in addition to this announcement of 1,284 more confirmed exoplanets, Kepler has found a further 1,327 which are more than likely to be exoplanets but require more study to be confirmed. Of the nearly 5,000 planet exoplanets found to date, more than 3,200 have been verified and 2,325 of these have been discovered by Kepler. Based on their size, nearly 550 of the newly announced 1,284 exoplanets could be rocky planets like the Earth. Nine of these 500 orbit their star in the habitable zone, the zone around a star where we believe it is possible for liquid water to exist. This means that we have discovered a total of 21 exoplanets in the habitable zone. The rumours seem to have been true. José Mourinho is going to be at Old Trafford next year. Or, at least, that is what the BBC is saying. But both Manchester United and José Mourinho are, so far, refusing to confirm what now seems inevitable. José Mourinho looks set to replace Louis Van Gaal at Manchester United, although no official announcement has yet been made. As a number of people have been saying with tongue in cheek, what could possibly go wrong?! We shall see, but having the special one back in the English Premier League certainly adds to the entertainment value; his press conferences are usually great listening. His success will be determined by whether he can return Man U to their former glory, particularly in the Premier League and the Champions League. Last Friday, I blogged about Paul Simon in Rolling Stone Magazine’s list of the 100 greatest songwriters. They place him at number 8. Before I move on to number 7 next week, I have decided to share one of the songs I mentioned in that blog – “Late in the Evening”. This song was released in July 1980 and is from his album One Trick Pony. It got to number 6 in the US singles charts, and number 11 in the Netherlands. In the Disunited Kingdom it only got to number 58. Paul Simon’s song “Late in the Evening” was released as a single in July 1980. It is from his album One Trick Pony. I adore this song. It has such an infectious latin rhythm, and there are also some great lyrics in it too. I bought One Trick Pony when it came out, and this was my favourite song on the album.